Began shipping September 1, 2011. This item is discontinued but we have in stock when listed. 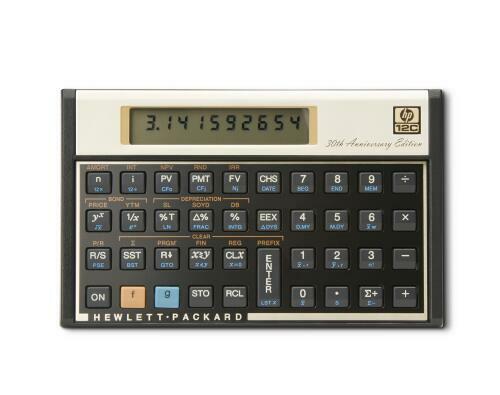 HP brings you the classic 12c Financial Calculator (est. 1981), relied on by millions of business professionals and students, in special a 30th anniversary limited-edition release. Each HP 12c 30th Anniversary Edition calculator comes stamped with a unique production number and displayed in an elegant gift box, making it the perfect gift for any business professional or student. 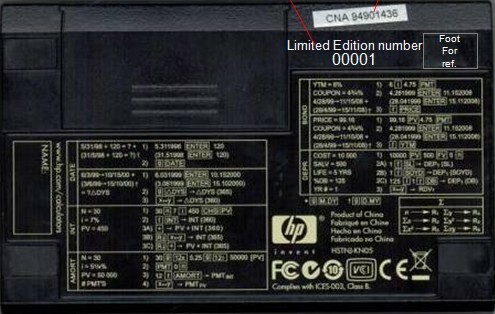 In August 2011 HP released a special 30th anniversary edition of the popular 12C calculator. A Serialized number is included on the back for collectors. “12c 30th Anniversary edition” is silk screened on the front.